APS APM50 Shell Ejecting Co2 Sniper Rifle Destruction Power – Airsoft or Airgun? Seriously. 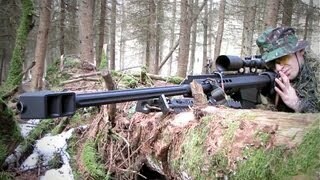 The APS APM50 is a shell ejecting Co2 sniper rifle with great power and accuracy as well as realism. The complaint of the “shells” that you might lose in a wagon is now long gone with the shell-catcher add-on, plus you can always buy and load more shells before game begins. What we are more interested though, is not the skirmishability of this gun, but is this an airsoft or really an airgun? The power is VERY awesome! read articles or reviews, but this webpage offers quality based posts. участием взрослых женщин и юных парней. You will find this weight loss supplement in the form of capsules. matter, which i am going to deliver in academy. A very interesting take oon tthe future. reviews, but this webpage offers quality based content. of this sector don’t understand this. You must continue your writing. Woh I enjoy your blog posts, saved to bookmarks! is actually a good post, keep it up. this fantastic informative article here at my home. I deal with such info a lot. I was seeking this certain information for a very lengthy time. Hi, after reading this amazing post i am as well delighted to share my familiarity here with mates. folks think about concerns that they plainly don’t know about. web site =). We can have a link exchange contract among us! of your helpful info. Thanks for the post. I will definitely return. post. Inside the post, you really spoke on how to seriously handle this thing with all ease. much as offer other individuals what I discovered from you. I appreciate your usual good effort. reason why I can’t subscribe to it. Is there anybody else getting the same RSS issues? actually excellent, keep up writing. Merely wanna input that you have a very decent web site, I like the design it really stands out. to be on the net the easiest factor to keep in mind of. think about issues that they plainly do not understand about. whole thing with no need side effect , other folks could take a signal. author for taking his time on this one. except this web site presents quality based writing. Thanks for excellent info I used to be looking for this info for my mission. Generally I do not read post on blogs, however I wish to say that this write-up very compelled me to take a look at and do it! ideea where to get some professional writers? I’m still learning from you, while I’m trying to achieve my goals. I definitely enjoy reading everything that is posted on your blog.Keep the stories coming. unique thoughts on this issue. Really.. many thanks for starting this up. with an awful feeling I never thanked the site owner for those tips. My young boys appeared to be so happy to read all of them and have really been using those things. this sort of awesome useful guides most people are really eager to discover. My personal sincere regret for not saying thanks to sooner. Outstanding news it is without doubt. Friend on mine has been awaiting for this tips. I got what you mean, thank you for putting up. 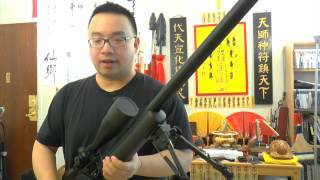 APS APM50 Shell Ejecting Co2 Sniper Rifle Destruction Power - Airsoft or Airgun? Seriously.